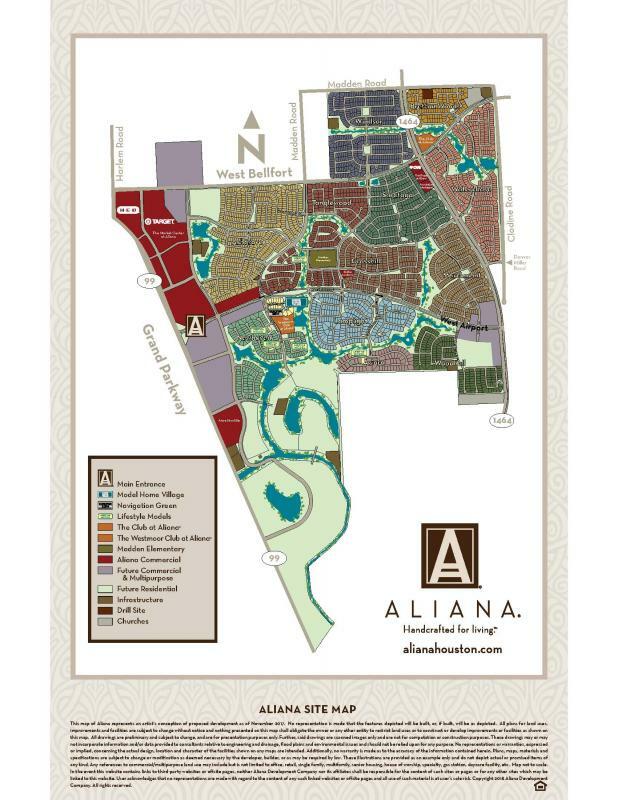 This map outlines the various neighborhoods in Aliana,The Club at Aliana & The Westmoor Club as well as the current commercial in Aliana. Click the map to enlarge or print! *As the site plan for Aliana changes we will update the map. Aliana is comprised of three MUDs, MUD 134A, MUD 134B and MUD 134C. All operations of the three MUDS are handled by Inframark, formerly, Severn Trent. Living in a community with 3 MUDs can be quite confusing, click the map below to be taken to the FBC Interactive MUD map and enter your address!